We've got Turkish Get Ups tomorrow! 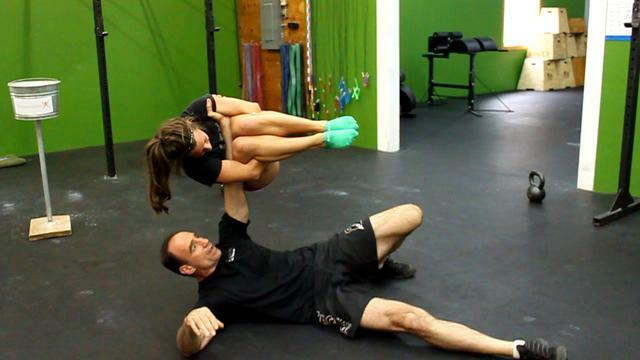 For inspiration, here's a picture of Jeff Martone, CrossFit's kettlebell subject matter expert, doing a TGU with a person! You might want to have a crash mat nearby just in case! 5 Rounds for technique and load. Record heaviest load with GOOD technique. Time cap of 18 minutes. Record slowest round. RX-1 if you don't finish all 5 rounds.